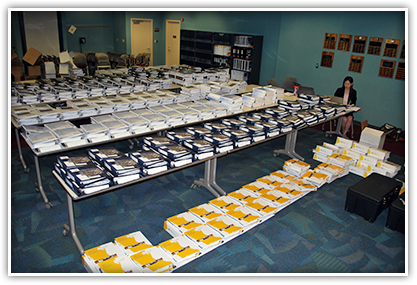 The FDOT Procurement Office received and logged administrative submittals, technical proposals and financial proposals from four teams – a huge undertaking! Common in international markets, public-private partnerships are now emerging as a viable means of financing projects in the United States. Large, complex projects — such as I-4 Ultimate — can be combined and accelerated using this approach, advancing the benefits of the project to the public sooner than traditional methods. The largest public-private partnership undertaken in Florida to date, I-4 Ultimate is a unique project that can serve as a template for transportation agencies, governments and municipalities across the nation. To assist other entities in pursuing this type of contract, FDOT has made available the I-4 Ultimate procurement documents listed below.